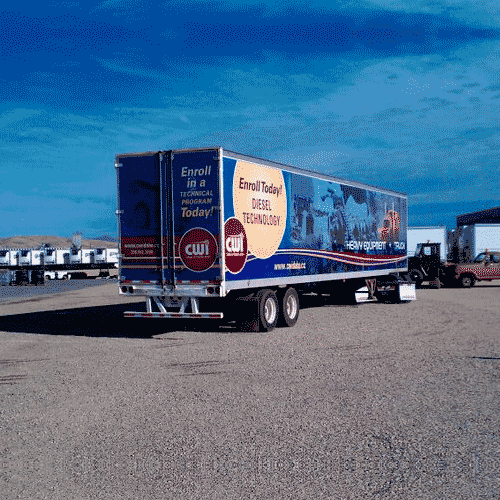 Vehicle Wraps can create an emotive, cost-effective moving billboard. Or simply give a custom look to your car or automobile. Our high quality printing capabilities will amaze you. More importantly they will make your vehicle the envy of your friends & family, or potential customers. 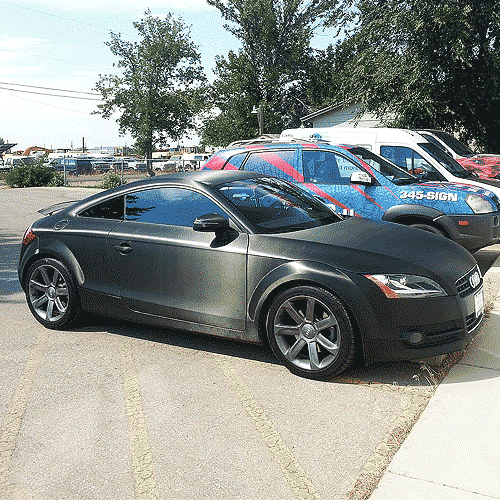 Businesses love to wrap their vehicles at bargain-prices. After all company vehicle wraps are an extremely affective way of advertising. Thousands of commuters are seeing your moving billboard every time you drive. You’ll notice this is a highly impressive way to find new potential clients, as well as advertising to your current clientele. 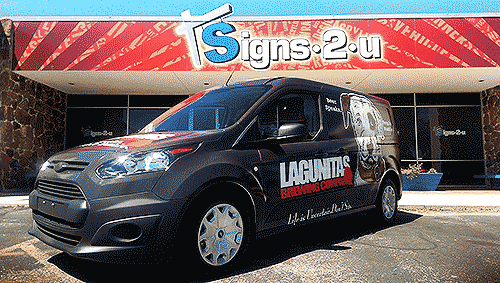 With an awe-inspiring Vehicle wrap from your friends at Signs2u you instantly have a mass audience at your fingertips! Keep in mind if you’re looking to only wrap your vehicle for a few years, we will use the correct materials that will make the process pain-free to remove that leaves no damage to the vehicle’s paint job. One of the foremost ways to advertise your business is on your company vehicles. 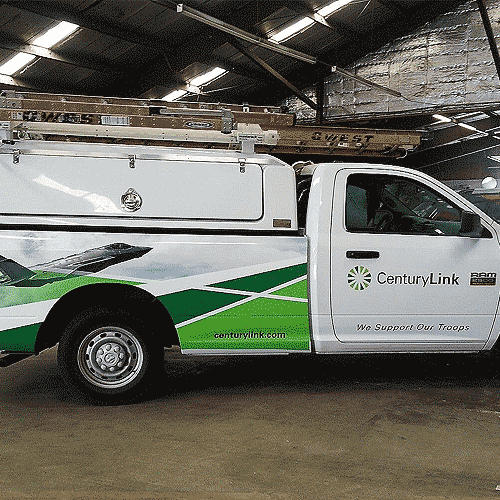 Whether you have a single vehicle or an enterprise fleet Signs2u can design a graphic layout guaranteed to grab the attention your business deserves. Leave it to the experts at Signs 2 U we have wrapped it all! 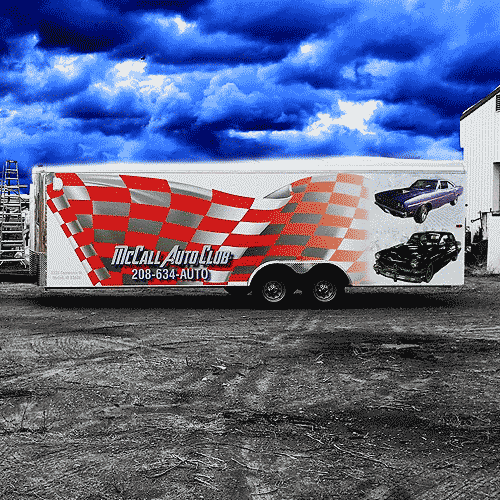 Semi-trailers, golf carts, boats, big and small trucks, cars, SUVs, passenger vans, sprinter and full sized vans, motor-homes, luxury cars, large metal boxes, motorcycles…if you can imagine it we can wrap it! Have no worries, Signs 2 U has you covered. Bring us your idea, logo, or “flat” artwork and let us work with you on turning it into a compelling graphic display or powerful advertising tool for your business. Together we can optimize your ideas and give you something to appreciate and love for years to come. 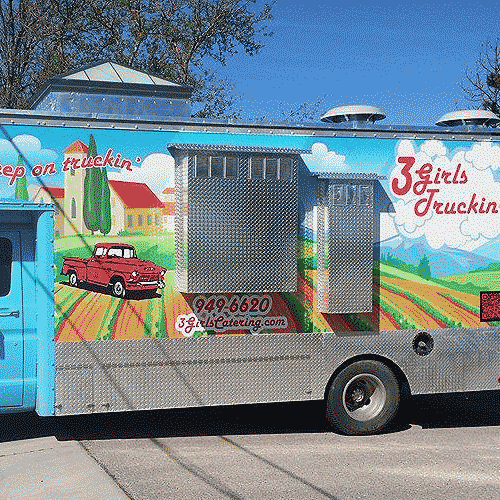 Vehicle wrapping in essence starts with a good idea. Our team of professionals will help you look at your options available and what will work best to give you the appeal you’re looking for. If you own a business we’ll help show you what could market affectively, and help advertise optimally. We take into consideration the ways your vehicle will be seen. What it will look like in motion. And what most drivers will see out of their windows. 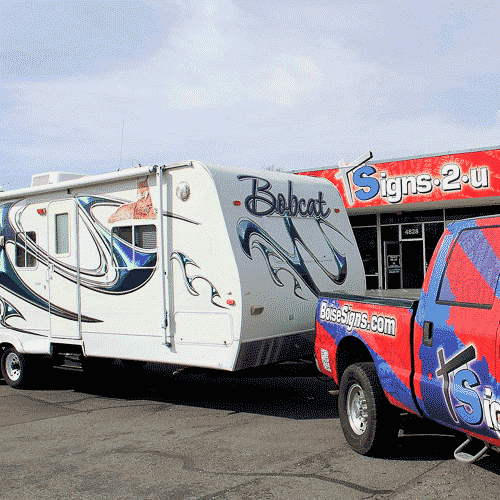 Signs 2 U will help you find clear graphics and educated choices on your custom vehicle wraps. We keep the end goal in mind. 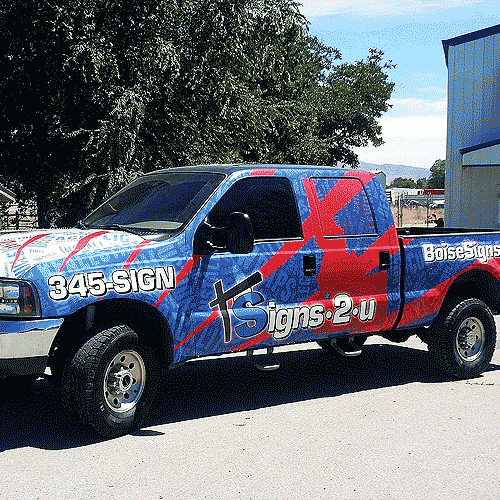 Signs 2 U has vehicle templates to match your make and model of vehicle. If you can drive it we can wrap it. 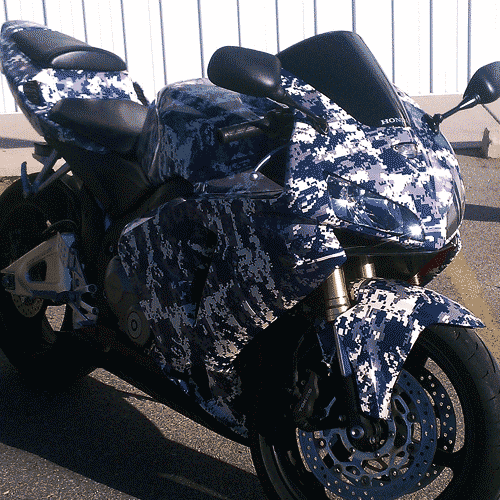 We have the technology and skill to wrap even highly modified vehicles accurately. Let Signs 2 U help with your next vehicle wrapping job. 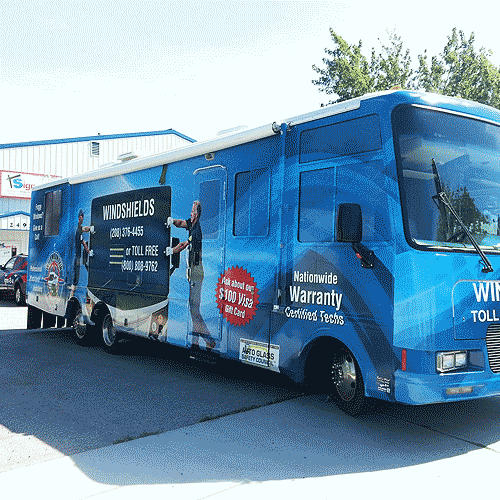 Vehicle wrap material is a special vinyl that is designed to conform to a vehicles curves and recesses. It is designed to withstand the harsh conditions of the road while looking good for years. Have a Question or need a Quote? Please call 208-345-7446 or use our contact form.